Don’t get stuck in bumper-to-bumper traffic before and after baseball games at Target Field this season! 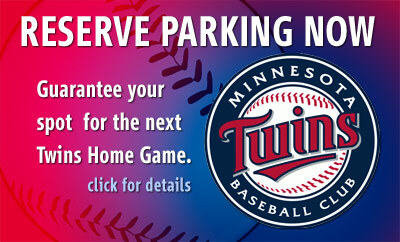 Pre-purchase parking near Target Field for the next home game! Target Field is the home of the Minnesota Twins. It is conveniently near many places to eat before the game, as well as many great hotels to stay afterwards! Parking.com has many other locations in the Minneapolis area for your convenience.